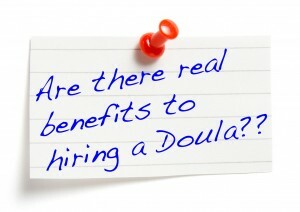 How do you know if you need a Doula? And how can a Doula help you have a natural labor or a more satisfying labor? Beautiful Beginning Birthing and Wellness defines a Doula as a trained and experienced woman who provides physical, emotional and informational support to the mother before, during and after birth; or someone who provides practical and emotional support during the postpartum period. Doulas are trained in the process of labor, postpartum child care, and breastfeeding. Women, who use Doulas have statistically shorter, less painful labors and need fewer medical interventions such as Pitocin, epidural, forceps, vacuum extraction and cesarean. Doulas provide informational support in cases when the mothers are not medically savvy (or just too busy laboring) to make the best decision about suggested interventions, medications and their possible consequences. A postpartum Doula provides instructions on breastfeeding as well as childcare to a new mother. A laboring woman feels a lot more safe and relaxed when a trained, supportive helper is at her side all throughout the birth. A birth Doula provides women with self-confidence that they need to have a successful delivery. A postpartum Doula helps ease the parents into the new lifestyle with the baby, have a more successful breastfeeding experience, lessen postpartum depression and lower incidences of abuse. Doulas reduce the necessity of women having epidural or other pain relief medications and achieve natural birth. Gentle massage, soft touch, a hug or a suggestion of a different laboring position can make a great difference in how the mother manages her labor pain. Very often Doulas end up taking care of older children during the birth, taking pictures, or making sure that the mother’s partner is taken care of as well. Whatever the need be, a Doula can come in handy.